One of the 14 disability classifications that the Social Security Administration (SSA) warrants as severe enough to demand disability consideration is cancer. Depending on the type, severity, location, and long-term diagnosis of the disease, the SSA also offers compassionate allowance for some cancers. Compassionate allowance is an expedited approval process that requires less information and investigation to ensure benefits are awarded as quickly as possible. One type of cancer that the SSA considers to be eligible for disability and compassionate allowance is non-small cell lung cancer. Lung cancer develops as a result of abnormal cell growth in the lungs and tissues surrounding the lungs. As more cancer cells are created, they form tumors and spread to other areas of the body, including near the heart. NSCLC is one of two types of lung cancer (the other being small cell) that forms in the tissues surrounding the air passages. 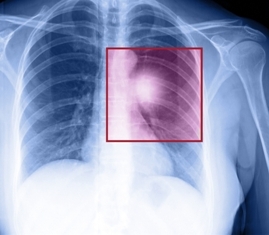 Approximately 87% of lung cancers are non-small cell, which progress much slower than small cell tumors. NSCLC can create three different types of carcinomas—squamous cell carcinomas, large cell carcinomas, and adenocarcinomas. The effects of this type of cancer on the body can make it extremely difficult, if not impossible, for those affected to continue working and providing for their families. As a result of this inability and the rapid progression of the disease, the SSA concedes that sufferers of non-small cell lung cancer deserve government aid, and deserve it quickly. However, just because the disease is considered benefit-worthy doesn’t mean that the disability board is willing to ignore proper procedures or approve claims without confirmation. When applying for disability and compassionate allowance, the disability board will require straightforward and precise information about your disease as well as its effects on your ability to work. This information needs to be thorough as it will ultimately decide whether your diagnosis is eligible for expedited disability approval. This is where Keefe Disability Law can help. Confirmation of the condition. When collecting evidence for your claim, you must be able to show that your condition is indeed eligible for disability. A diagnosis of the cancer is imperative. However, pathology records and physician reports explaining the location, type, growth, and whether the tumors can be removed can be extremely helpful in convincing the board of your need for benefits. Confirmation of the condition’s severity. In addition to confirming your condition, you must also be able to show how and why it affects your ability to provide financially for yourself and family. To be eligible for an expedited review, you must be able to provide evidence that your condition is inoperable, degenerative, or recurrent. Furthermore, you must show cause on how the diagnosis has prevented you from completing your work duties. Statements from your employer, co-workers, and physician are ideal pieces of information that should be included in your claim. Confirmation of the condition’s long-term diagnosis. Additional medical records, physician and expert witness statements, and past diagnostics can all help show the projected progression of your disease. If this evidence shows a rapid decline, the disability board will more likely agree to compassionate allowance approval. Contact our office today at 508-283-5500 to schedule your FREE consultation. Attorney Keefe is anxious to help you get the support and aid you need to secure your future peace of mind. Call now to take the first step toward disability approval. For more information on the disability process, please download our FREE guide to Social Security Disability, Five Most Frequently Asked Questions About Social Security Disability.